1. Provide a litter tray large enough for your cat to use comfortably. 2. 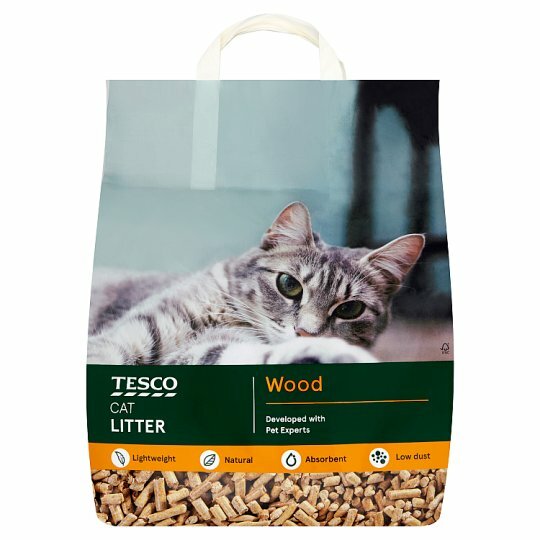 Pour in Tesco Ultra Absorbent Wood Cat Litter to a depth of 2-3cm. 3. Inspect the tray daily and using a scoop remove solid waste as necessary. 4. At least weekly the tray should be emptied completely and cleaned with a mild detergent. Dry the tray thoroughly before re-filling with fresh Tesco Ultra Absorbent Wood Cat Litter. 5. Dispose of used litter with appropriate household waste. It is recommended that disposable or rubber gloves are worn when removing soiled litter, and always wash your hands immediately after cleaning or emptying the tray, or handling the litter. Pregnant women or nursing mothers should avoid contact with soiled litter. Keep litter trays away from babies and young children.